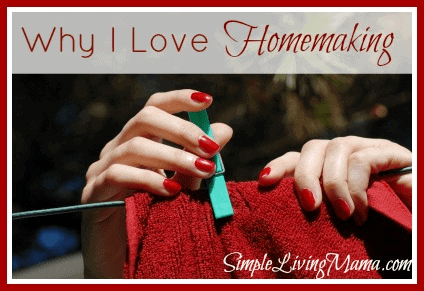 I want to take a little time to talk about why I love homemaking. I can’t claim to be the best homemaker. I don’t necessarily keep the cleanest house, I still do a terrible job at folding fitted sheets, and I continue to learn more and more every day about my chosen profession. Yes, I just called homemaking my chosen profession. When I was growing up, I never said I wanted to be a homemaker. I wanted to be a wife, a mommy, a teacher, an astronaut, a veterinarian, a scientist, and many other things, but I never would have thought I wanted to be a homemaker. Turns out, as a homemaker I’m just about all of those things I just mentioned except maybe an astronaut. Haha! When my oldest was a baby I found a blog called Down To Earth written by an Australian lady named Rhonda. At the time, I was still a college student and I was wondering what the heck I was going to do with my future. I loved being a wife and mommy and I couldn’t bear the thought of leaving my son to go to work full time. Rhonda showed me what homemaking really is. She empowered me toward living a more simple life and for seeing value in my role as a homemaker. I graduated college, had my second child, and have been at home ever since. There is so much we can do in our homes to improve our lives and the lives of our families. This is the kind of stuff I thrive on. 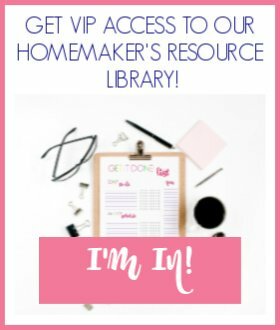 I decided to come up with some reasons why I love being a homemaker and why I think my job benefits my family more than if I worked outside the home. One of the first things I did was begin to look into ways to make our food from scratch and to buy better food to feed my family. I started learning about real food and Weston A. Price. Now, I’m not a total real foodie. I do sometimes still buy “junk,” but I mostly stick to whole, real foods. Being at home allowed me the time to learn how to prepare healthy and mostly delicious meals. I didn’t come into marriage knowing how to cook. I made many meals from a box or frozen bag early on. If I was working outside the home I probably still would. Now I have taken the time to learn more about nutrition I have taught myself how to make homemade bread, how to prepare veggies so they are healthy and delicious, and even how to cook meat. I used to be scared of raw meat! I continue to research and learn more about scratch cooking and healthy foods. My kids stay home with me and they eat real food snacks. I learned that red food dye makes my son crazy and that it needs to be avoided. I feel blessed to be able to be with my children all day and notice subtle things like that. The next thing I did was look into making my own cleaners. Now, my husband hates the smell of vinegar even with the essential oils added. So, now I only use vinegar as a fabric softener and occasionally to clean my sinks and glass. I do use baking soda a lot. I use it in homemade soft scrub, I use it as a carpet and fridge refresher, I use it to clean my mattresses. It is so versatile. I’m not going to claim I have the cleanest house. That is far from the truth, but being home allows me to organize my home so that I can work in it efficiently. I love organizing things. I love when things are neat and clutter-free. Keep in mind I have three kids ages 4 and under, so clutter-free is really not what I’m working with, but we do all pitch in to tidy the house at different times of the day. I love that I get to do laundry on my schedule and I have mostly learned how to stay on top of it. I follow a loose housekeeping routine, but being at home means I don’t have to follow it all of the time! I do plan to write a post on why we are choosing to homeschool, but being a homemaker allows me to homeschool my kids. I’m excited about the journey we are about to embark on! Uh, oh! This is a big one. Me being at home makes my husband happy and it makes me happy. Listen, I am the type who stresses easily. I cannot imagine how stressed I would be if I was working outside the home, picking up kids, trying to do housework, and all of that every.single.day. I don’t know how I could be available for my husband. You know that saying, “If mama ain’t happy, no one is happy?” It’s true. We have the ability to control the atmosphere in our homes. Being able to create a peaceful home that is clean and having a home cooked meal when my husband comes home is worth it. I’m not saying this applies to everyone. Maybe you can balance it all a lot better than I can, and that’s great. I just can’t do it all! We love being traditional. It feels right for us. 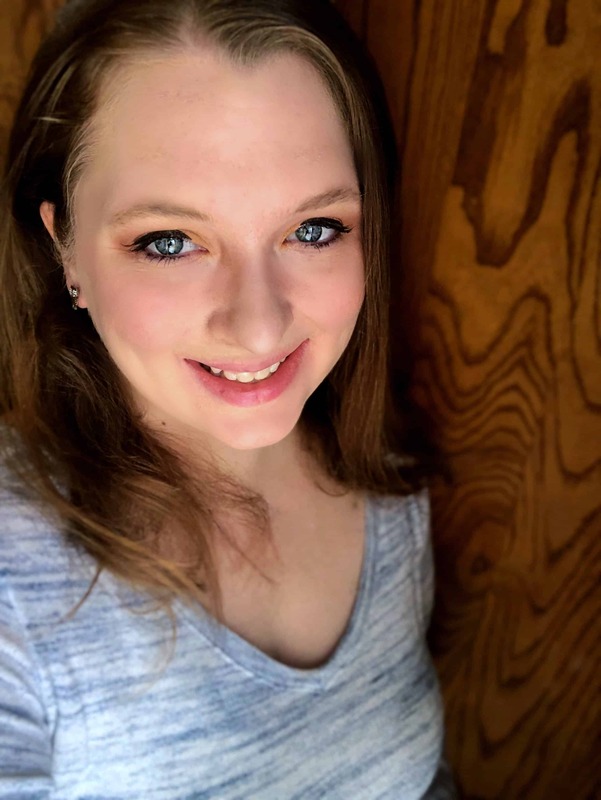 My husband will help out with the house and I do extra things to earn income here and there, but for the most part we know that the other one has it handled. Tomorrow I’m going to tell you how we live on a single income. It does take some sacrifices, and it’s not easy. It’s not necessarily glamorous. We had to decide where our priorities were going to be before we got married and knew I was going to stay home full time. I enjoyed your post today, Joanie! It is such a privilege to be able to be home and be busy at homekeeping. Hard work, but satisfying. Growing up all I ever wanted was to be a wife and mom, and I remember inventing answers to that question “What do you want to be when you grow up?” – A wife and mother was never enough. But that I’m grown I can say it IS enough! Thank you so much for your kind comment! Yes, being a wife and mother is enough! Homemaking would be a beautiful job and I feel sorry for those who had to work instead of being homemakers.